Since Superstorm Sandy stranded thousands without power across the state of New York in 2012, it has become clear that infrastructure upgrades are a necessity for the state. The current, outdated energy system is not up to the challenges of the present day and a changing climate. A year after Sandy, New York has a plan. Last week during his State of the State Address, Governor Cuomo announced the allocation of $40 million to the new Community Grids NYPrize Competition, a program which promises to help New York achieve a more sustainable, resilient energy future. The competition, aimed at jump-starting at least ten “independent, community-based electric distributions systems” across the state by the end of 2014, is a highlight of a larger $17 billion plan to prepare for future storms like Sandy. Upon full implementation, the NYPrize Competition Community Grids are expected to support approximately 40,000 New York residents. A “community microgrid” is a new type of energy system that leverages decentralized, local, clean power sources such as solar and wind that are able to operate independently of the centralized electric system. 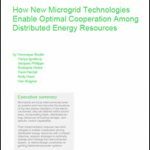 Microgrids are small-scale distribution systems that link multiple distributed energy resources (DERs) into a network that can generate, store and control its own power. Microgrids can operate in tandem with the main power grid during normal conditions, but can disconnect and function as an independent “island” of stable power if the main grid fails. The use of microgrids greatly reduces the number of outages and allows more people to keep their lights on during (and in the wake of) extreme weather events. But microgrids offer much more than just backup power in the event of an outage. They are meant to be used year-round as a primary energy source and offer many financial and environmental benefits. Renewable energy, like rooftop solar, along with dynamic energy storage systems and other energy-saving technologies such as demand response, works in tandem with microgrids to help reduce the overall consumption of energy. Microgrids also have the potential to help utilities better regulate and manage the flow of electricity to all customers (whether they are part of the microgrid community or not). 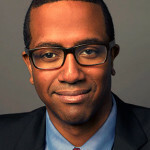 -Demonstrate how community scale energy networks play an important role in New York’s transition to a cleaner and more resilient energy system. Above all, this competition is about modernizing New York’s antiquated electric grid, a key step in preparing for an uncertain climate future and keeping the lights and heat on during the next extreme weather event. Building a smarter grid and encouraging clean, onsite renewable energy means fewer outages and faster recovery. A smarter grid would also have the intelligence needed to pinpoint outages, isolate damage and reroute power. EDF applauds Governor Cuomo’s efforts to deliver cleaner air, better health, more reliable electricity and greater customer control over electric power and costs for all New Yorkers. 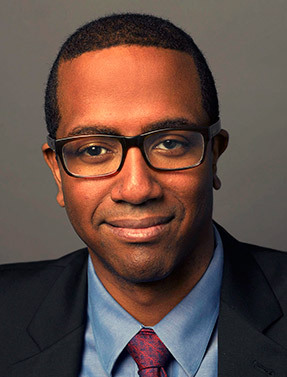 Rory Christian is EDF’s Director of Smart Power Initiatives for the New York region.